For each of the last 60 years, the Recording Academy has dedicated one tremendous night every year to present its most prestigious and iconic award honoring excellence in the recording arts and sciences: the GRAMMY ®. 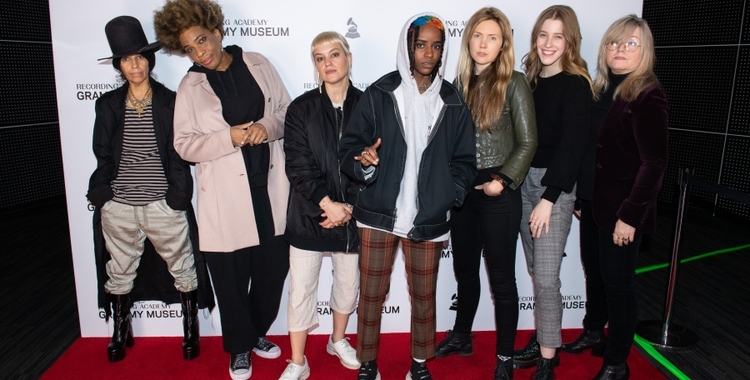 This year, GRAMMY week kicked off with a new event – one celebrating women in music, held by the GRAMMY Music Education Coalition. 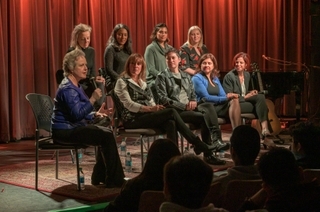 As the official sound for and partner of the GRAMMY Music Education Coalition (GMEC), a non-profit collective seeking to increase music-making in schools, HARMAN was proud to sponsor A Celebration of Women and Music, an event focused on inspiring and training the next generation of women in the music and audio industries. 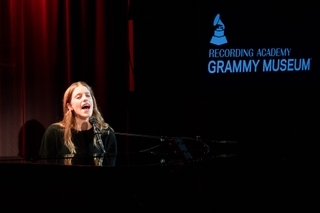 Held at the GRAMMY Museum Clive Davis Theater, the program highlighted the development and success of women in the music industry and the ways in which they are impacting their communities through music. Invited guests from the GRAMMY Museum University Affiliates, students from the GMEC Los Angeles Chapter, members of the Women in Music Los Angeles Chapter, and members of the Recording Academy, GRAMMY Museum, and GMEC all came together to share their experiences and support aspiring musicians and audio professionals. The afternoon kicked off with a panel discussion that explored the building blocks of a career in the music business, designed to help high school and college students get a closer look at how they can prepare for a future in the music and audio industry. Recording Academy Vice Chair Ruby Marchand moderated a stimulating conversation among leading industry professionals including: Adina Friedman, Artist Manager/Partner, Friends at Work; Anjali Southward, Head of Music Publishing and Business Development, Greenberg Glusker; Jenny Reader, President/Chief Creative Officer, Fearless Records; Monika Tashman, Partner/Lawyer, Entertainment, Media & Technology Practice, Fox Rothschild LLP; Neeta Ragoowansi, Board Officer and Former President, Women in Music, and Senior Vice President of Business Development & Legal Affairs/Co-Founder, NPREX; Susan Nesbitt, Member Engagement Lead, World Economic Forum; and Tina Fasbender, President, Fasbender & Associates. 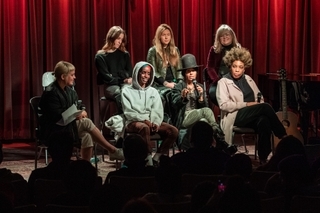 In recognition of the key role that mentors and positive role models play, a second panel discussion highlighted the many ways in which industry leaders can establish a collaborative community to support young female artists. During this session, moderator Anna Bulbrook of The Airborne Toxic Event and Founder of GIRLSCHOOL was joined on stage by Linda Perry, GRAMMY nominated producer, singer-songwriter and co-founder of WE ARE HEAR, rapper and singer Angel Haze, singer-songwriter/collaborator Beatie Wolfe, singer-songwriter and record producer Macy Gray, singer Willa Amai, and Sheri Timmons, Brand Experience Architect at WE ARE HEAR. Following the panel discussions, attendees were treated to a rousing performance by Willa Amai, before getting a sneak peek of the GRAMMY Museum’s new exhibit, Diamond in a Rhinestone World: The Costumes of Dolly Parton. As pioneers in music innovation, HARMAN remains committed to inspiring the next generation of leaders through unique, immersive, and meaningful experiences in music and technology. Through our global cause movement HARMAN Inspired, and our partnership with the GMEC, we’re helping provide much-needed resources to music education programs in underserved school systems in the U.S. Just last year, HARMAN expanded our existing partnership with the GRAMMY organization and announced our commitment to fund and outfit recording studios in New York, Philadelphia, and Nashville to encourage more students to pursue their passion for music. By developing unique courses and providing essential resources to these music-education programs, HARMAN is helping prepare the next-generation of music and audio technology leaders.